Presents an image as being composed of the vcl_exp() of its pixels. Additional casting is performed according to the input and output image types following C++ default casting rules. Definition at line 68 of file itkExpImageAdaptor.h. Definition at line 80 of file itkExpImageAdaptor.h. Definition at line 79 of file itkExpImageAdaptor.h. 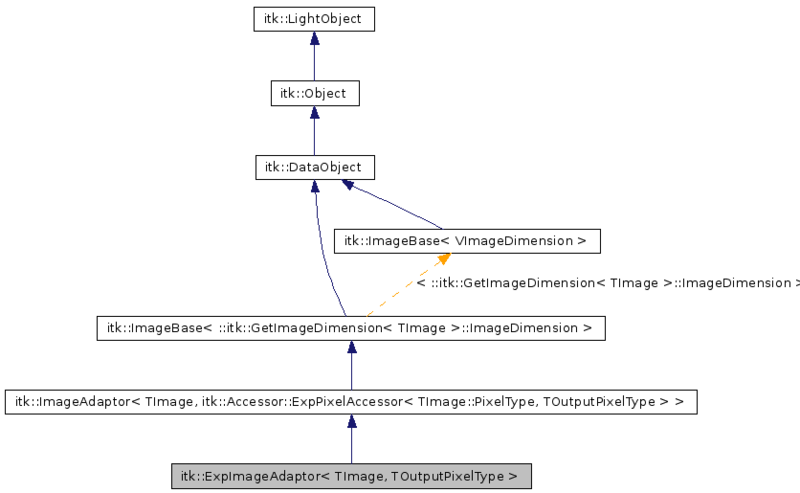 Definition at line 75 of file itkExpImageAdaptor.h. Definition at line 78 of file itkExpImageAdaptor.h. Definition at line 89 of file itkExpImageAdaptor.h. Definition at line 90 of file itkExpImageAdaptor.h.